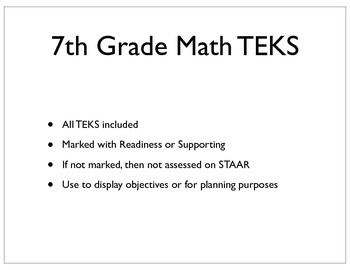 A black and white copy of the 7th Grade Math TEKS. 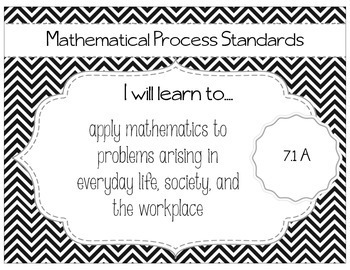 Use to display the standards in your classroom or for planning purposes. One standard per page and includes whether the standard is a readiness or supporting standard (non-assessed standards are also included).